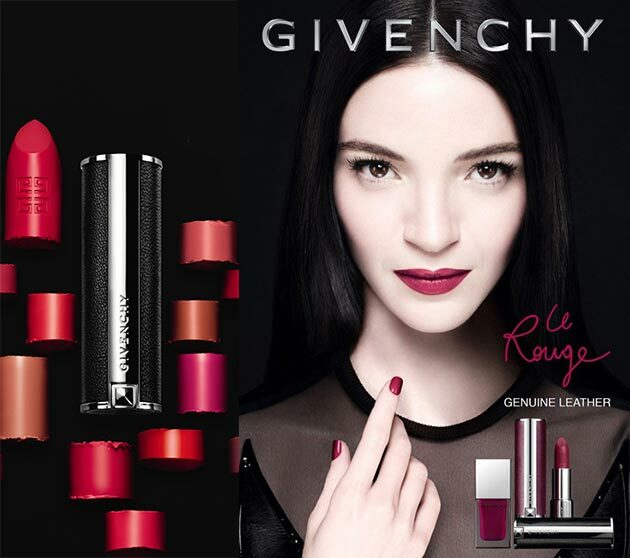 This summer we’ll be seeing the first improvements on existing products already in the Clarins range. So, for keeping make up on for longer, there’s Clarins Fix’ Make Up (I can’t account for that random apostrophe that appears after the word fix) and for top coating lashes there’s a new version of Double Fix’ (there it is again) Mascara to make your existing mascara waterproof. I see from the Clarins website that they’re going really young – their social outreach would certainly suggest that – so I wonder if the primped up Fix’ range is their attempt to woo new consumers. 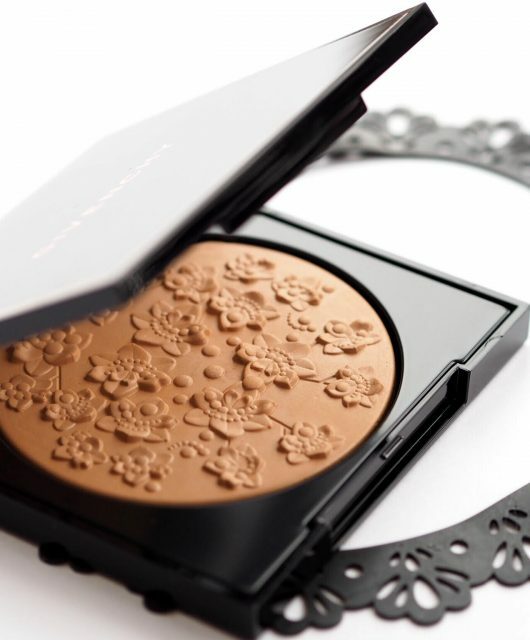 Certainly, I don’t see Clarins as a young range – it’s entire philosophy is based on anti-ageing and only five minutes ago, they were embracing the older woman. It feels like a messy attempt to categorise to be honest, because these products are great for any age. 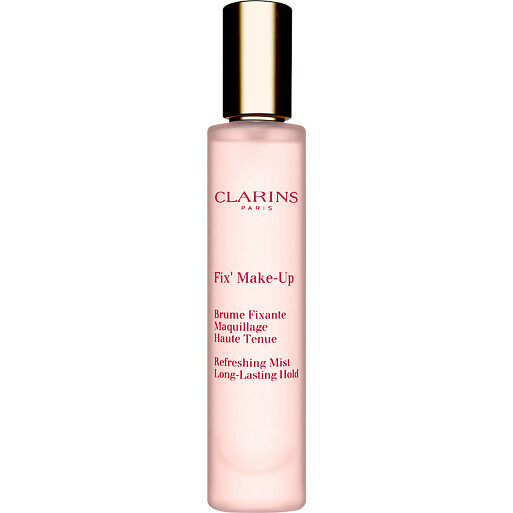 Clarins Fix’ Make Up (£24) is a spritz to set make up, hydrate and act as an environmental shield. While it does contain an anti-pollution complex exclusive to Clarins, there is no mention of an SPF. However, this has such a lovely, invigorating scent – sweetly fruity – and feels feather light on the skin with a cooling element. I reckon summer will be all about this one! 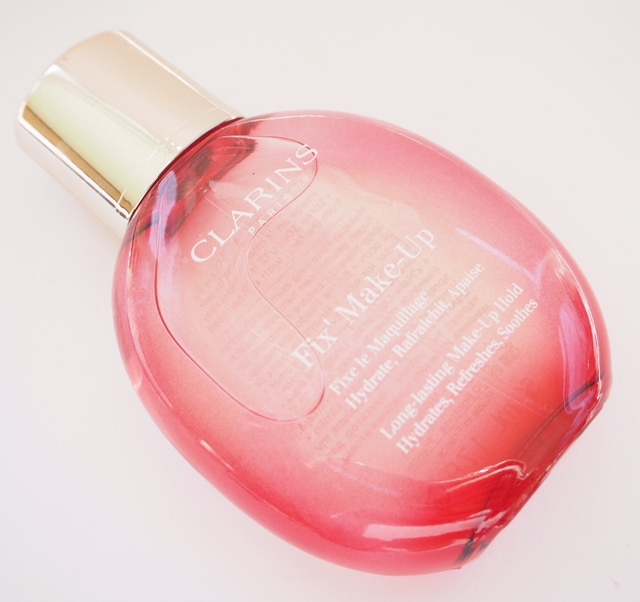 It contains grapefruit extract and organic rose floral water which accounts for the scent, but also allantoin and aloe vera for soothing and has existed before in the Clarins range (see above), but it’s a new formula and a much prettier version for summer. Next up is the Double Fix’ Mascara (£20) to top coat your lashes – it’s transparent and waterproof and has also existed in the Clarins line up before but it’s a new and improved formula (although quite what the improvements are is anyone’s guess). 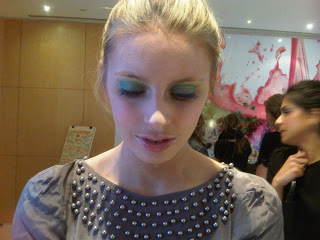 You can also sweep this over brows if they aren’t behaving nicely. So, it looks like Clarins is focussing on improving the existing practicals and giving them a new life – it’s impossible to put the old against the new because I don’t have them here so I think you’d have to be a regular user to see or feel any notable changes. 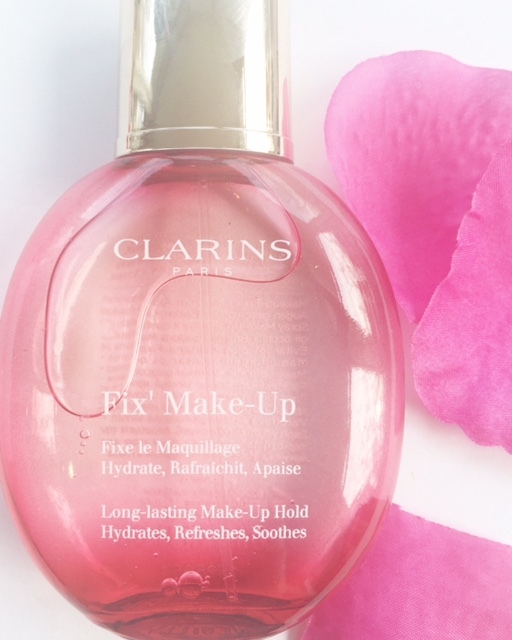 Again, I don’t have an exact date for the launch of these but I love the new look of Fix’ Make Up in the Eau Dynamisante style bottle and it’s an absolute pleasure in the use. 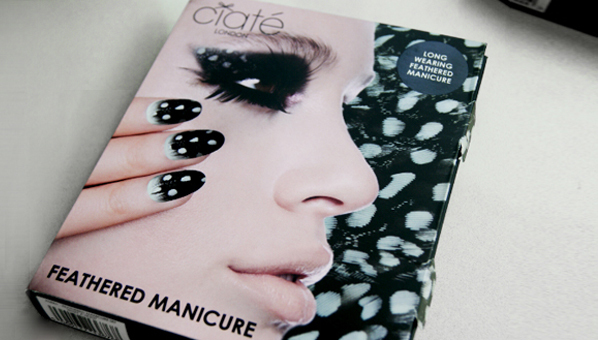 I love these 2 products. I have used them for a very long time (since my wedding actually) and really find them great and efficient. Can’t wait for these new version. Regarding the market positionning I agree with you, it looks a little bit awkward to say that such products are for young people only, they are really universal. Perhaps the apostrophe is indicating an accented (elided) word or a glottal stop? Fix’ Make Up makes me think of ‘kiss and make up’ as if they have elided the ‘and’, but I think we might be over-thinking it a bit! Double Fix’ just looks weird. The pink bottle is so pretty, if it works I would definitely use it. I’ve never heard of this but I really want to try. Especially during the warmer months here in Manhattan.